Hardened Breast Implants, Hematoma or Seroma? CAPSULAR HARDENING: Data shows that 1 out of 6 breast implants have a slight to extensive hardening of the capsule that forms around the implant. The Aspen Multi-Energy System™ safely delivers precisely controlled sounds waves from the Aspen Harmonizer ™ to increase elasticity in the breast capsule to make it more pliable when combined with the Patented Aspen Rehabilitation Technique. This unique combination of therapy creates an environment of elasticity that provides an immediate result in the very first treatment and over several treatments improves the softness and position of the breast implant to drop into the correct position. CAPSULAR CONTRACTURE: There are many theories on what might cause capsular contracture. Some believe it is centered around an infection or a bacterial contamination called Biofilm. Some say genetics play a role. While there may be some uncertainty on what triggers the capsule around the breast to contract, there is no doubt on how it affects the patient. As the breast hardens, it can become hard, painful and asymmetrical. Aspen Multi-Energy Therapy protocol, developed by clinician Tim Weyant, is the only patented, researched, and non-invasive therapeutic technique to successfully treat capsular contracture. By utilizing the Aspen Harmonizer™ combined with the patented Aspen Technique over a 4 week period, and an ongoing home care program, the outcome has proven successful at treating Baker II and Baker III grade capsules to an acceptable Baker I level. Bring back the shape and softness of the breast as well as the symmetry. HEMATOMA: It is estimated up to 6% of patients may experience a pocket of blood inside the wound within 2-3 days after breast surgery. After the clinician drains the blood, the Hematoma may still lead to a potential infection. 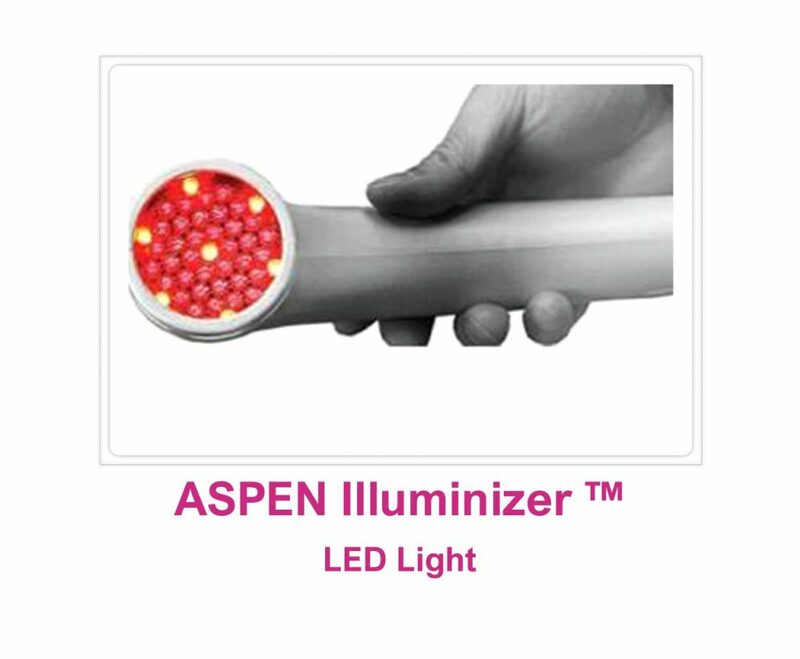 The Aspen Multi-Energy System™ safely delivers non-invasive light energy with the Aspen Illuminizer™ to improve the cellular activity around the area of the Hematoma. This can improve the speed of healing and reduce the potential infection from triggering Capsular Contracture. 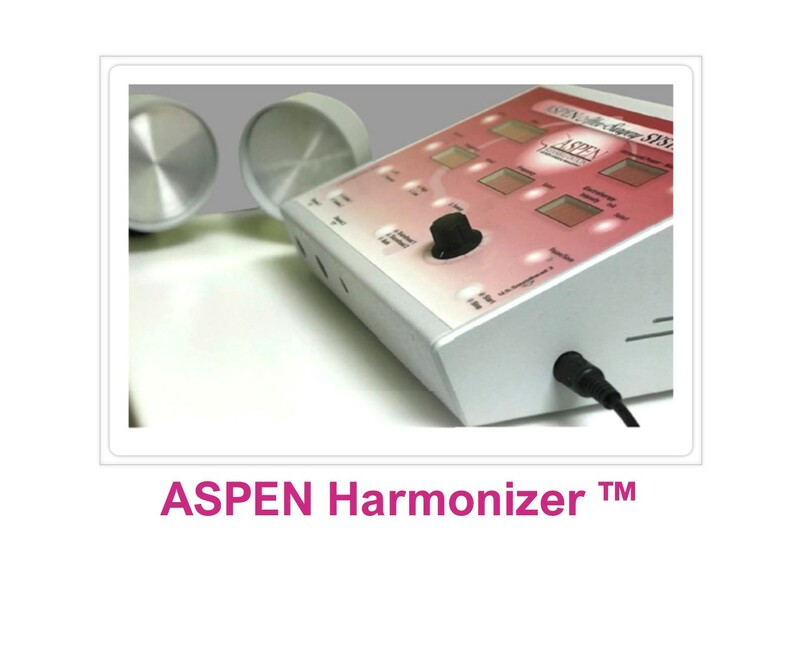 The Aspen Harmonizer™ can also help reduce the harmful effect of hematomas by vasodilation and a washing away of harmful products that fuel contracture (4). BIOFILM: There is ever-increasing recognition of the key role that biofilms play in breast implant capsular contracture. A published animal model of capsular contracture in pigs, which documented a statistically significant increase in the incidence of capsular contracture following introduction of Staph, epidermidis at the time of implant placement, provides the most direct evidence, to date, for this connection (1). Hematomas and seromas may also contribute to contracture by providing a rich nutrient environment for biofilm growth. Until now, traditional surgical methodologies of treating capsular contracture typically involved complete capsulectomy, antibiotics, and in some cases, and extended period of time in which the implant is removed from the patient prior to replacement. Dr. Roger Wixtrom, PhD who is considered by many the worlds leading authority on biofilms and capsular contracture, has described The Aspen Multi-Energy System™ as “the most promising non-surgical alternative for treating capsular contracture in many patients.” Intriguing recent research in animals and humans would suggest that The Aspen System™ in combination with antibiotics may increase the effectiveness of antibiofilm therapy (2-3). 1. Tamboto H, Vickery K, Deva AK. Subclinical (biofilm) infection causes capsular in a porcine model following augmentation mammaplasty. Plast Reconstr Surg. 2010; 126(3):835-842. 2. Carmen JC, Roeder BL, Nelson, Beckstead BL, Runyan CM, Schaalje GB, Robinson RA, Pitt WG. Ultrasonically enhanced vanomycin activity against Staphylococcus epidermis biofilms in vivo. Biomater Appl. 2004; 18(4):237-245. 3. Carmen JC, Roeder BL, Nelson JL, Ogilvie RLR, Robinson RA, Schaalje GB, Pitt WG. Treatment of biofilm infections on implants with low-frequency ultrasound and antibiotics. Am J Infect Control 2005; 333(2):78-82. 4. Berna-Serna JD, Sanchez-Garre J, Madrigal M, Zuazu I, Berna-Mestre JD. Ultrasound therapy in rectus sheath hematoma. Phys Ther. 2005; 85(4):352-357.